Two of the best flagship killers of 2014, two of the best smartphones that match each other so close with the engines that run them, two of the best smartphones have been battling it out for quite a while now! Who among the two is the winner? Which of the two devices is the best one for your preferences, your needs? Lets start off with the spec-sheet and you’d notice how they match each other in one too many departments! Let the battle rounds begin! Now that we are done with looking at the similarities allow me to walk you through different segments of usage and how the two of them perform. 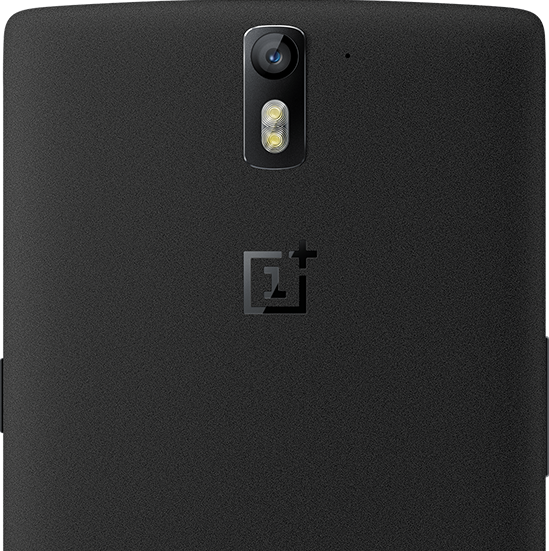 Nerdy Geeky looking OnePlus One – this is a tall fella at 5.5″ and with the padding at the top and bottom it becomes even taller, nudging the phablet range already. While this is not a drawback many are very particular in terms of the limits of phone screen they’d want to pocket. That being said, the OnePlus One is so well designed that you’d be astonished when you hold it and realize the fact that it is so light and thin! And the unique sandstone back version of the device ensure it wont slip off your hands (note that 16GB comes in a silk white back while the 64GB comes in sandstone finish back). It is definitely not cumbersome to hold this device in your hand and you’d get used to it over time. But the question is – are you OK with the tall device? Trust me tons of people I know are now crazy about bigger screens. I carry it around in my jeans and it find myself adjusting the phone every time I get onto my bike or bend my legs to wear my shoes or sit down. 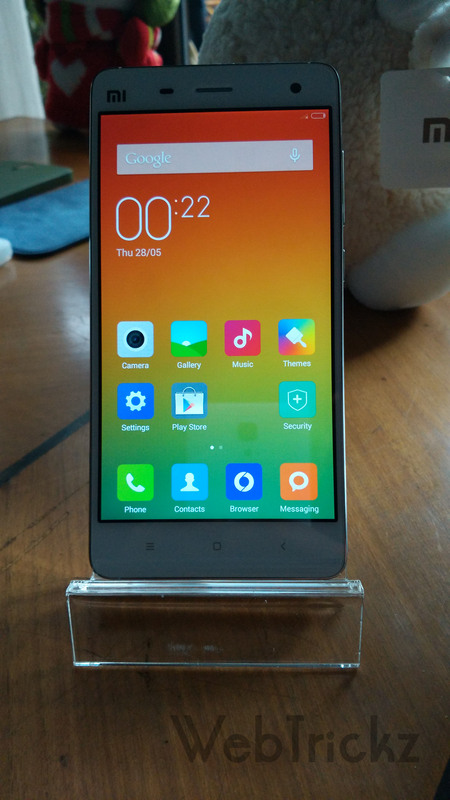 Posh, Premium and Handy looking Mi4 – this is where Xiaomi seems to hit perfection – the 5“. For many of us 5” is the maximum limit. And the overall design of the phone comes off as premium with the steel frame and glossy back. The device neatly fits into your hands and no problems in getting through your tasks using one hand. What I love about the Mi4 is the button placements and the extent of tactile feedback they give. I tend to love that subtle ‘click’ that you feel. Buttons are slightly sharper than you’d expect but that is how the design is. Do not get me wrong, both cameras shoot stunning pictures, carry lots of details but Mi4 has certain advantages for the things I just mentioned. But this does not mean Mi4 is perfect – pictures tend to be a tad vivid and over exposed when shot with the sun in the background. But it is very fast in doing the clicks and same on the processing as well. Where the Mi4 clearly wins is the front shooter – 8MP Sony lens takes some of the best of the best pictures you can see in any phone in the world. And its a good performer in low light as well! Having said that, the front shooter on the OnePlus one is nothing short of a good camera, just that Mi4 is better by far too many miles here. Where the Mi4 also wins in the video capturing. OnePlus One is a bitter disappointment as the audio in its video is either feeble or garbled and a remote chance of video being flaky. Both phones take good 4K videos and slow motion captures. Both phones have non-removable batteries and capacities are almost the same on both the devices with a difference of 20mAh. Merely looking at the specs of the devices one would be skeptical of the battery back up these devices may give you but trust me both do very well. One may also consider the close to vanilla Android running on the OnePlus One may give it a huge lead over the Mi4 that runs heavily customized MIUI. Getting thru a day will simply not be a problem for normal usage patterns. Having said that, the OnePlus One delivers a consistent screen-on time of 5-6 hours while the Mi4 delivers around 5 hours SOT. Clearly I give it to the OnePlus one here. 1. AnTuTu Benchmarks – OnePlus One scored around 37,000 while the Mi4 was in the 35,000 range. Honestly this would not make much of a difference unless you are someone who is crazy about the numbers. On a day-to-day usage the difference is simply not noticeable. 2. 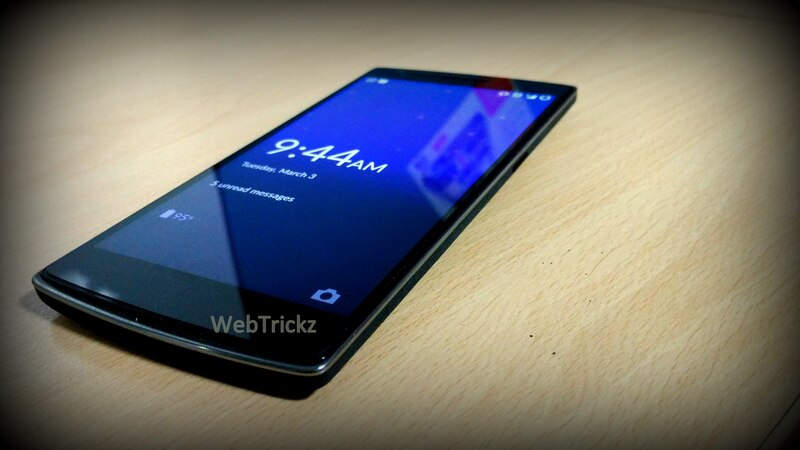 OS – both are liquid smooth but since the OnePlus One runs on an Android skin that is close to stock, its a tad smoother. Heavy UI on the Mi4 does give you that very isolated stutter but overall clean as a whistle performance on both. 3. Calls – no issues in both the phones here. 4G LTE too worked well. Calls are crispy and no drops across. However the Mi4 attempts to cancel out the background noise far too much at times that renders your voice lower by a minute scale but this should not be a problem. 4. Gaming – no issues in both the phones here as well. However given the fact that OnePlus One has a bigger screen, gaming is a better experience. Barring that you’d face no issues even with resource intensive games on both the devices. Elongated periods of gaming will result in normal heating up of the device but that is in any device you consider. 5. Multimedia – I would give this to the Mi4. Its music app is simply one the BEST I’ve seen. The audio output too is slightly better in Mi4 when compared to the OnePlus One. I did try tweaking a lot of things in the Audio FX app on the OnePlus One but simply couldn’t get it to do what Mi4 did. You’d want to go for Poweramp or Rocket Player apps to have a better experience on the OnePlus One. 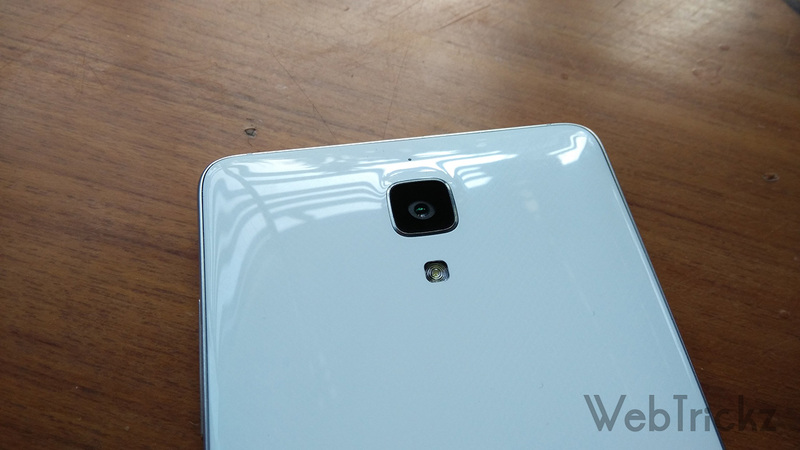 Videos will be a better experience on the Oneplus One as it has the bigger screen. I would like to mention that the loudspeaker on the Mi4 is slighly less loud when compared to the OnePlus One. So both the devices are crazy bang for you bucks. No second thought if you want to get them. OnePlus One’s 16GB and 64GB is sold at 18,999INR and 21,999INR respectively. Mi4’s 16GB and 64GB is priced at 19,999INR and 23,999INR respectively. Just looking at the price to spec ratio OnePlus One wins here with the advantage of 4G. OnePlus One is available via the invite system in India whereas for the International customers, every Tuesday there is an open sale in addition to the invite system. Mi4 on the other hand is available without registration on Flipkart but that is for the 16GB variant. If you want the 64GB variant you still have to go with the weekly flash sale. 1. 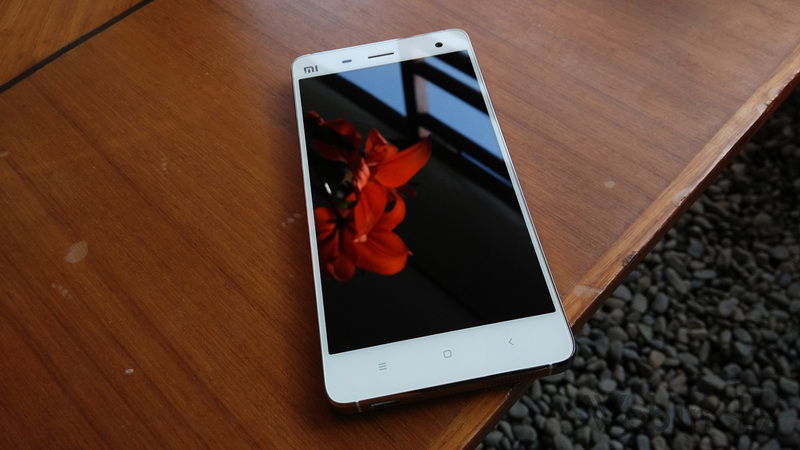 Getting a device – Mi4’s 16GB is now easily procurable. 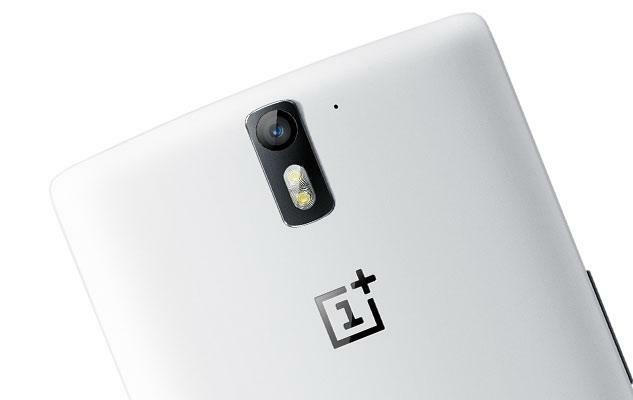 64GB will go on flash sales while the OnePlus One is running the invite system. Procuring both the devices is not so tough anymore. Both the methods have been frowned upon but that is how both the companies operate. 3. Availability of 64GB and 4G variants – Both companies release different variants in different regions. So getting that combination of 64GB and 4G variant (especially for Mi4) could be a challenge in case it is not released in your region. You may have to import it bearing all the additional charges which really bump up the overall investment made in the device. Well, you may have realized by now that there is no clear winner here ! Both the beasts are wicked awesome devices keep going on and on and on. It all boils down to what is your preference and requirement.